The number of first-time buyers purchasing a property in 2017 was the highest figure seen in a decade. According to Halifax, there were an estimated 359,000 first-time buyers across the UK in 2017 which reflects numbers similar to those found at the height of the market in 2007. These numbers demonstrate a robust property market and are encouraging for all those wondering whether they will be able to take their first step on the property ladder. One factor that has caused this figure to soar has been the popularity of the highly successful Government-backed Help to Buy equity loan initiative. Under the scheme, homebuyers only need to save a 5% deposit in order to secure their property. They can then borrow 20% of the value of the property in the form of an equity loan which remains interest-free for 5 years. Help to Buy has made it possible for over 440,000 families get onto the property ladder since 2013, proving both its popularity and success. 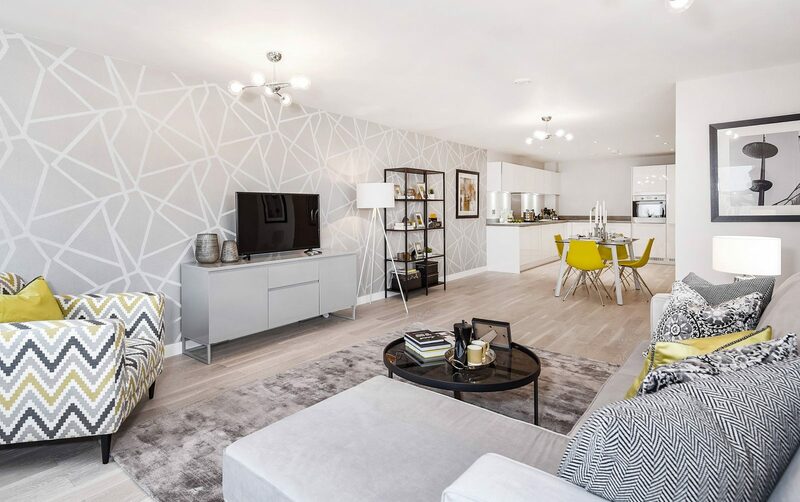 Proving especially popular with Help to Buy is Hodson Developments’ Fitzroy Collection in the booming town of Bracknell. 60% of the properties have now sold at this exclusive Berkshire development and many of these have been able to make the most of Help to Buy. Allowing homebuyers to purchase a stylish new apartment in this popular town-centre destination with only a 5 % deposit, it is no wonder this exceptional new development is selling fast. Available with Help to Buy, the Fitzroy Collection is a private gated development offering one, two and three-bedroom apartments and penthouses. Each property includes secure underground parking and cycle store, as well as large private balconies and patios. Prices start from just £259,950, and with Help to Buy this requires a deposit of just under £13,000. What’s more, many properties are now also exempt from stamp duty, helping buyers to make further savings when purchasing their home. The development is excellently served by transport links, with Bracknell train station a few minutes’ walk away, and key motorways such as the M25, M4 and M3 close by.